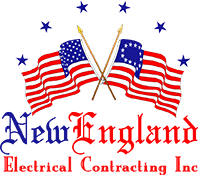 Home Theatre and Audio - New England Electrical Contracting, Inc.
Once completed, installing a home audio or theater system is an investment that rewards you and your family day-in and day-out. Simple flat-screen TVs with accompanying amplifiers and speakers can tax existing electrical outlets and the circuits that feed them. High-end systems present even more complex challenges, with the need for long cable runs to feed rear speakers, side speakers and subwoofers. Professional installation will hide those wires and provide attractive junction boxes, without the dangers or eyesore of exposed wires. Installing a home theater also requires a wide range of components – from your television and audio-video receiver to DVD players, cable boxes and satellite receivers – to work in harmony.